Pro iPhone Game Development: written for those of you who are already somewhat familiar with the art of iPhone programming. Covers both 2D and 3D game programming topics. 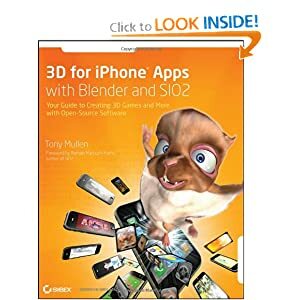 3D for iPhone Apps with Blender and SIO2: teaches you how to get started with iPhone 3D game programming. You probably want to be solid with your iPhone programming foundation before picking up this book. More iPhone 3 Development: it does not just cover iPhone game programming. It also tackles more advanced programming topics that you need to know to develop any type of app. 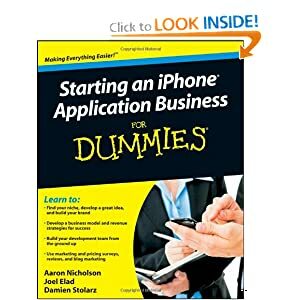 Starting an iPhone Application Business For Dummies: not a programming book by any means. But it has all kinds of useful information for iPhone app developers who want to learn how to promote their app more effectively.